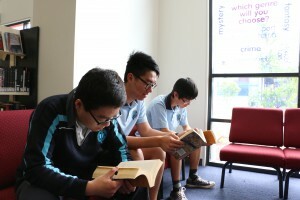 Extensive ESL support in small groups is provided on site at all year levels at Wodonga Senior Secondary College. The School Learning Resource Centre offers our ESL students a very supportive environment with excellent resources and fully qualified, caring staff. Our ESL students are systematically integrated into the mainstream subjects with a strong focus on improving their efficiency in English and equipping them for tertiary entrance. Where appropriate, the school can arrange for students to be enrolled at a nearby language school for a concentrated Introductory English Language Program. Students enrolled at the language school are visited regularly by the International Student Coordinator who provides ongoing support.